Ready to Move Your Boat? Boat Lift Wheels Are the Answer! Posted on October 20, 2015 by VeVe Inc. When you’re ready to move your boat out of the water at the end of the season, boat lift wheels make the task easier. 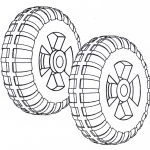 These wheel mount onto a boat lift wheel frame base, enabling you to wheel your boat easily on land. You can use either one kit or two, but we recommend two boat lift installation wheel kits for the easiest way to move boats. The Ve-Ve Inc. boat lift wheels (IWP-62) and wheel mounting kits (IWP-65 and 66) mount directly onto the boat lift base frame. The kits contain all the parts and fasteners you need to mount two wheels. One kit, with a pair of wheels mounted onto the center of the base frame, will help you roll the boat lift. Mounting wheels this way balances the lift on the center. 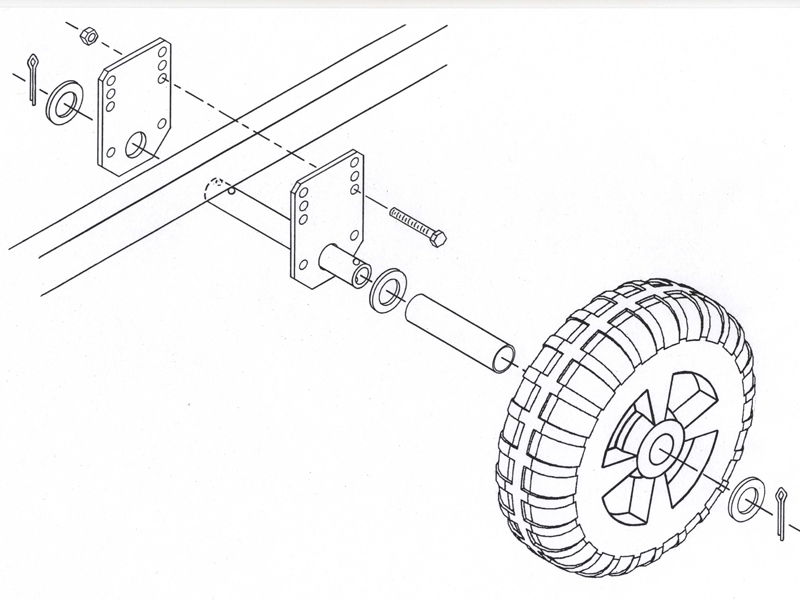 Use wheel mounting kit IWP-65 on frames up to 3 inches wide by 5 inches high. Kit #IWP-66 is suitable for frames up to 4 inches wide by 6 inches high. 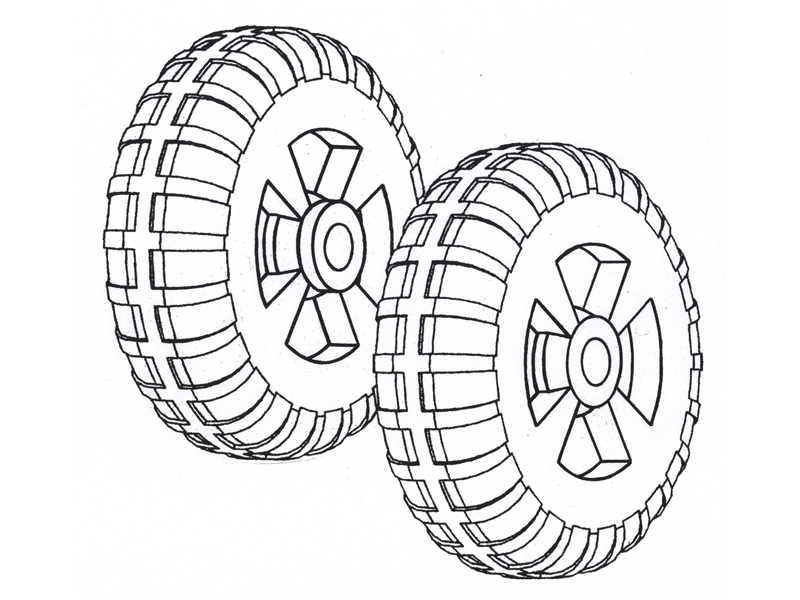 Every wheel mounting kit comes with 1-1/4 pipe axels (1-5/8 outer diameter) to fit wheel hub holes of that diameter. They also come with a PVC bearing sleeve that slides over the pipe axel to adjust the fit for wheels that have hub holes to fit 1-1/2” pipe axels (1-7/8 inch outer diameter.) Easy mounting pins make taking wheels on and off a snap. Wheels and kits are sold separately. 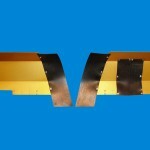 Ve-Ve Inc. offers a big selection of boat accessories, dock accessories, and marine hardware products on our website. Our products are suitable for salt water or freshwater marine use. Visit us online to shop for your American-made dock or lift wheels and wheel mounting kits, boat dock accessories, dock hardware & accessories or boat & PWC roller ramps and more. Posted on September 22, 2015 by VeVe Inc. 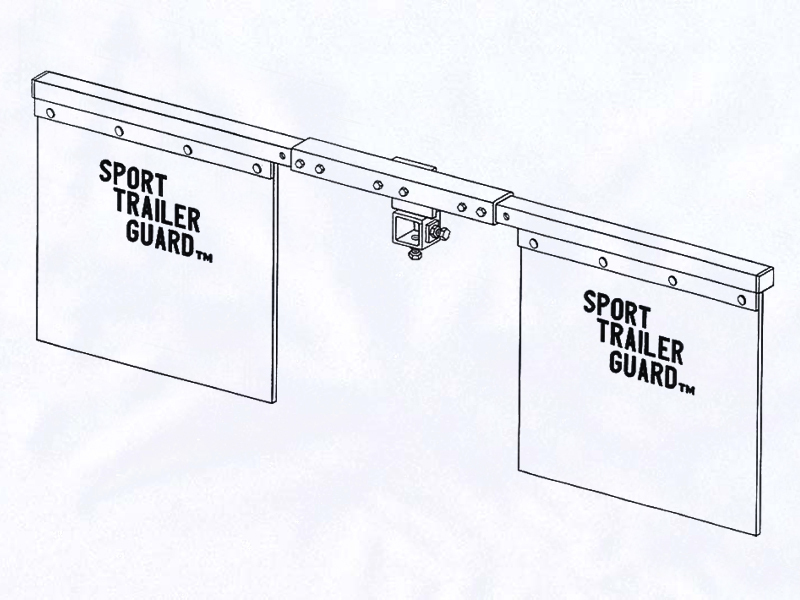 When you’re driving along a bumpy, washboard road, sport trailer guards can be a lifesaver. Sport trailer guards protect the undercarriage and sides of your trailer and vehicle from rocks and debris kicked up by the wheels as you travel along. Many people forget that the roads near their favorite lake, pond or dock can be a bit rough. Some great places to fish or enjoy time on your boat may be off the beaten trail. The roads leading to such hideaways may be poorly maintained. Rocks, sand and debris flying out from under the wheels of your trailer can scratch and mar the paint quickly, but sport trailer guards protect your investment. 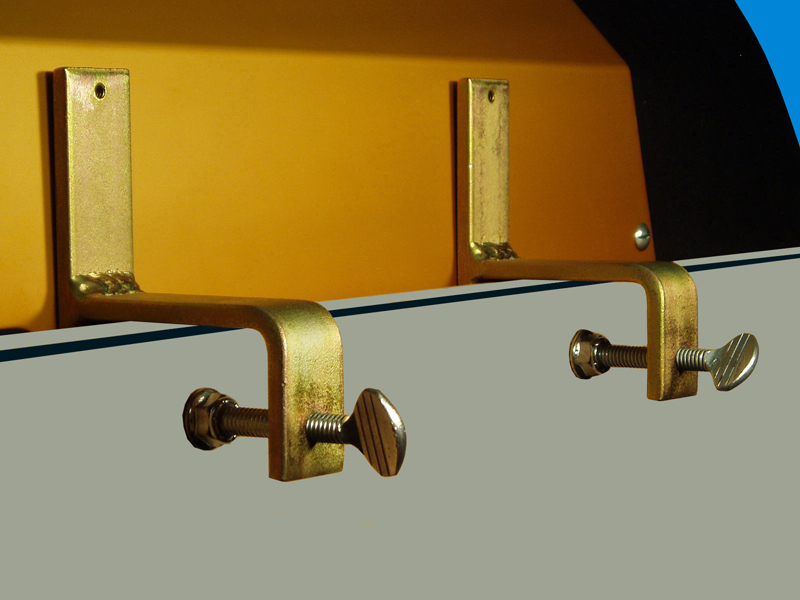 Ve-Ve Inc. sport trailer guards mount to the ball hitch with an easy mount/dismount two-bolt bracket. A simple screw-on bolt mounting bracket makes it easy to attach them on your ball mount so you don’t have to fuss with them. They are made from heavy duty steel with a black powder-coat painted finish that matches almost any vehicle and trailer. Another nice plus is that the width of the assembly is adjustable to fit you tow vehicle width. Ve-Ve Inc. is one of the largest manufacturers and suppliers of boat trailer accessories, boat roller ramps, post and floating dock hardware. We offer a wide selection of marine hardware products on our website, from dock & boat accessories to boat ramps for both fresh and saltwater applications. We have over 45 years of experience manufacturing and selling durable American-made marine products. Visit us online to shop for your dock or lift wheels and wheel mounting kits, boat dock accessories, dock hardware & accessories or boat & PWC roller ramps and more. Posted on September 17, 2015 by VeVe Inc. 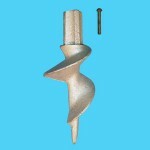 The right dock pipe sand auger can help you secure the posts and poles of your dock firmly into the ground. This can help your dock feel sturdier and last longer. 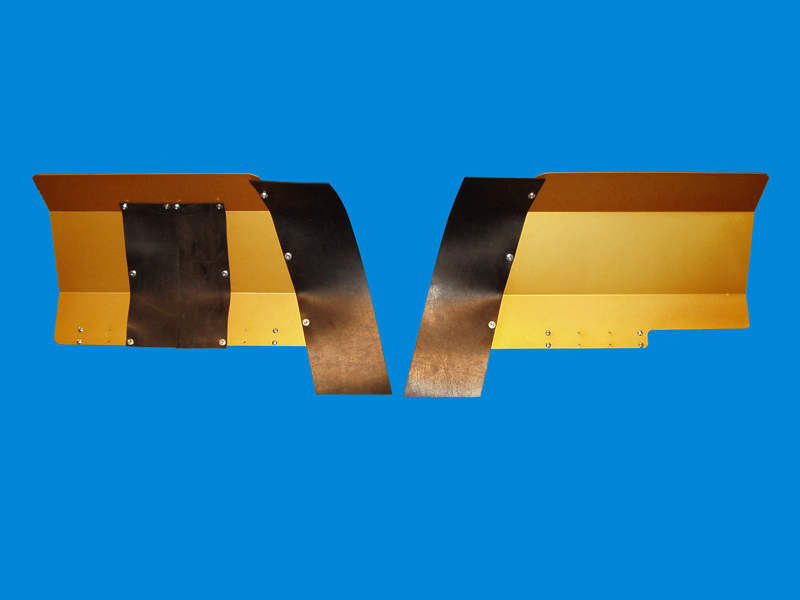 Ve-Ve Inc. carries several models of dock pipe sand augers for you to choose from. The D-504 features a heavy cast-iron sand auger that drills neatly into the soil. A curved flange cups the soil and holds your dock steady and secure. The D-506 fits 2” inside dimension dock pipe (with a 2-3/8” outside dimension), and the D-507 fits 1-1/2” inside dimension dock pipe (with a 1-7/8” outside dimension). All are crafted of cast iron, made in the U.S.A., and built to last a long time. Most of the augers you can find on the market today are made from flimsy aluminum, but these cast iron beauties are made to be like mini anchors for your dock. The D-504 cast iron sand auger fits 1-1/4” inside dimension dock pipe with a 1-5/8” outside dimension and mounts on the inside of the pipe. 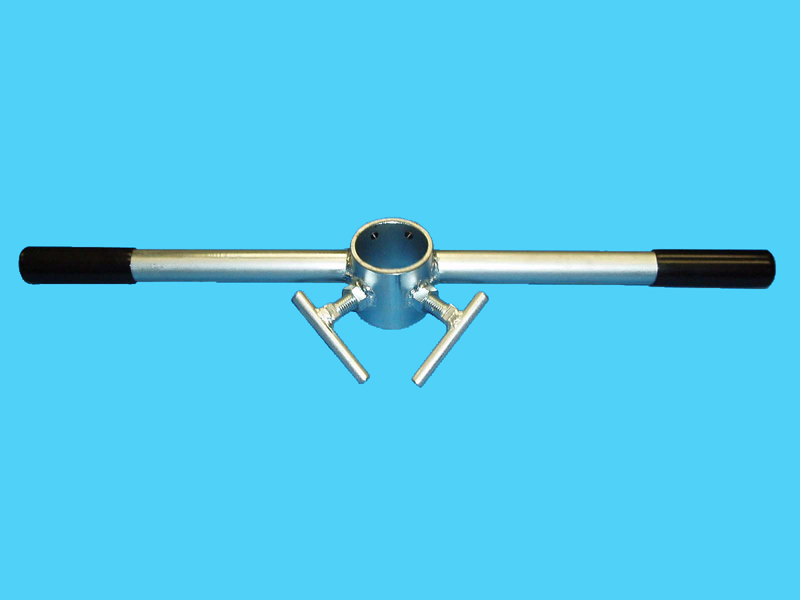 Although there are pipe augers on the market that mount to the outside of the pipe and may be quicker to attach, we believe the extra time spent on mounting the inside mount style is time well spent. You won’t have to worry about pulling out your dock pipe and not having an auger attached to it, which is a big possibility with a loosened or thread stripped out bolt that the outside mounting models have the possibility of doing. Another dock tool that helps when using the pipe augers is our D-595; “Pipe auger wrench”. 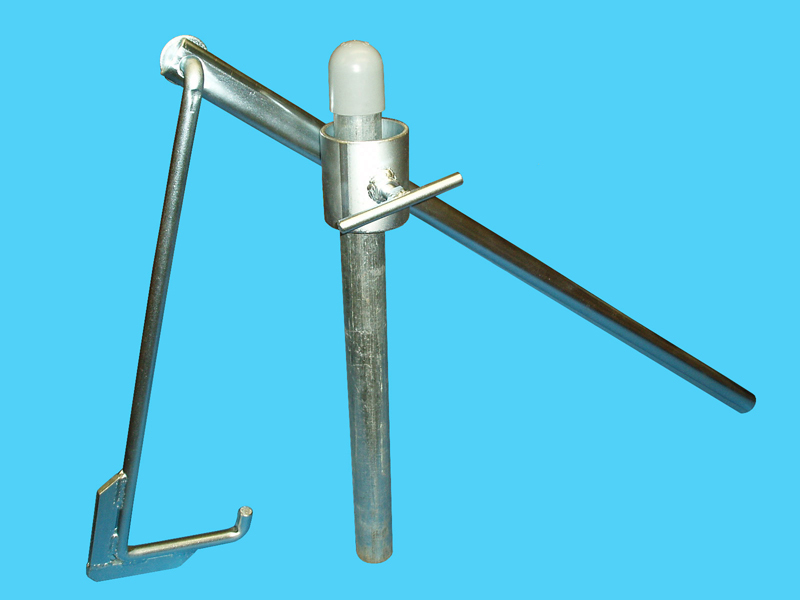 This tool slides over the pipe and with its unique design mounts firmly to the dock pipe allowing you to screw the pipe into the ground with a lot more ease. Ve-Ve Inc. is one of the largest manufacturers and suppliers of boat trailer accessories, boat roller ramps, post and floating dock hardware. We offer a wide selection of marine hardware products on our website, from dock and boat accessories to boat ramps for both fresh and saltwater applications. We have over 45 years of experience manufacturing and selling durable American-made marine products. Visit us online to shop for your dock or lift wheels and wheel mounting kits, boat dock accessories, dock hardware & accessories or boat & PWC roller ramps and more. Posted on September 15, 2015 by VeVe Inc.
Back trolling splash backs prevent water from splashing over the back transom during back trolling. Although some say that the art of back trolling is no longer necessary, true sailors know that it’s a skill that comes in handy sometimes. But when you are learning back trolling, you may make mistakes or go too fast. Sometimes water just washes in from the wake of another boat. No matter what the reason, having back trolling splash backs on your boat can keep the inside dry and comfortable for the rest of your journey. Ve-Ve Inc. makes and sells several back trolling splash backs, all have a starboard & port side piece that have rubber flaps mounted to them to help fit up to your engine. Ve-Ve Inc. offers both permanent and detachable models, along with optional starboard or port side cut-out models for small trolling motors. The SB-20 series of back trolling splash backs are permanently mounted splash guards. They’re made from aluminum, with an anodized gold finish. The motor side of both the port or starboard piece has a rubber flap mounted to it so it doesn’t hinder the motor’s movement during back trolling. The rubber is made from a special gas and oil-resistant compound so that it can fit snugly against the motor without deterioration. The SB-24 splash back series offers removable splash guards with mounting clamps that fit transoms up to 2-1/4 inch wide. 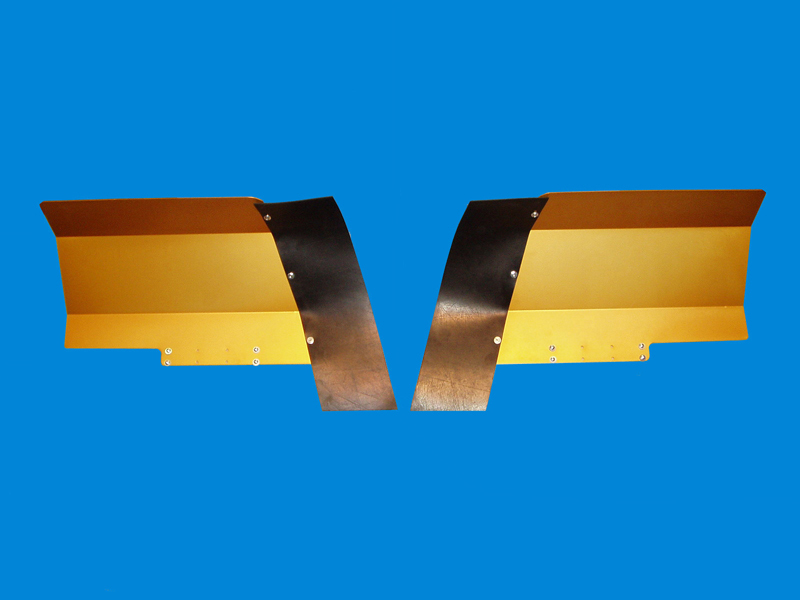 The 14-degree angle cut on the on the motor side of both the starboard and port side piece is where the rubber flap mounts & contours to the motor to avoid hindering its motion. Like our SB-20 series, they’re made from sturdy water and corrosion-resistant materials. These back trolling splash backs are made to last! Ve-Ve Inc. is one of the largest manufacturers and suppliers of boat trailer accessories, boat roller ramps, post and floating dock hardware. We offer a wide selection of marine hardware products on our website, from dock and boat accessories to boat ramps for both fresh and saltwater applications. We have over 45 years of experience manufacturing and selling durable American-made marine products. Visit us online to shop for your dock or lift wheels & wheel mounting kits, boat dock accessories, dock hardware & accessories or boat and PWC roller ramps and more. Posted on September 3, 2015 by VeVe Inc.
Ve-Ve Inc.’s boat lift wheels & wheel mount kits can make moving your boat lift into and out of the water easier. 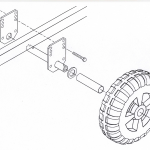 Our boat lift wheels and wheel mount kits fit multiple frame and wheel sizes, and come with easy on/off pins so you can remove the wheels quickly & easily when you need to. No matter what kind of boat lift you have, they can be heavy to move. Even aluminum frames can be heavy for one or more person to move. That’s where boat lift wheels come in handy. Ve-Ve Inc. sells boat lift wheels (IWP-62) and wheel mounting kits (IWP-65 and 66) that mount directly onto your boat lift base frame. 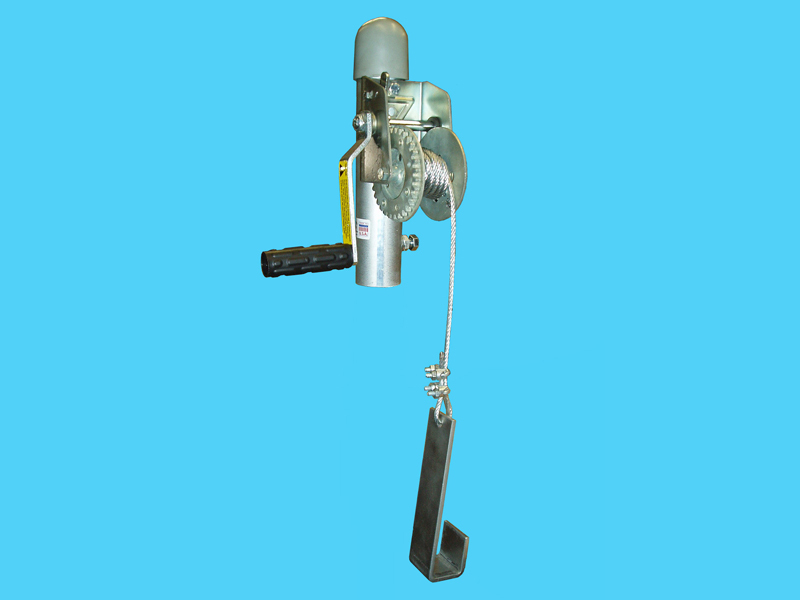 Each boat lift wheel mount kit contains parts & fasteners to mount two wheels, one kit with a pair of wheels mounted on center of left & right side base frame will help you roll the boat lift by balancing the lift on the center wheels. Two kits, however, make boat lift moving a lot easier, since you can mount a wheel on the front & back of each side base frame of the boat lift and keep it level. One of the best features of the wheel mounting kits is the easy quick pins that allow you to remove the wheels in a jiffy. The pins make it a breeze to put the wheels on or remove them. Wheels and kits are sold separately so you can customize your purchase to your needs. At Ve-Ve Inc., we are always looking for products to help our customers enjoy their time on the water more and spend less time fussing with their boats, personal watercraft, boat lifts & docks. With the dock and boat lift wheels and wheel mounting kits, you’ve got a quality product that will save you time in the spring putting your boat lift or dock in the water and taking them out for winter storage in the fall. Posted on August 27, 2015 by VeVe Inc. 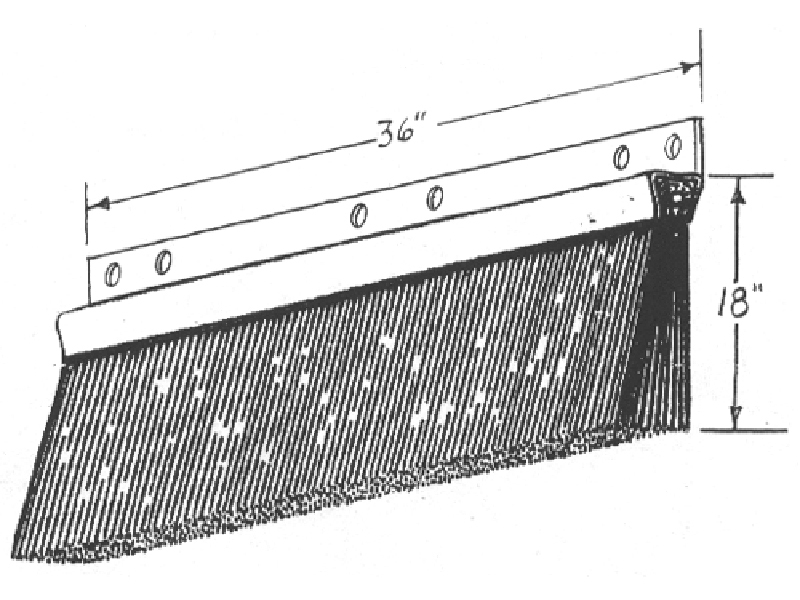 Among the many dock accessories and tools you can own, dock leveling kits seem like an unnecessary purchase. But a level dock offers you not only a more enjoyable dock, but one that’s sturdier and safer for your friends and family to use. Dock leveling kits help you keep your dock level no matter what the water level. This makes it easier to step into or out of your boat or personal watercraft. For folks who aren’t too steady on their feet, such as those with illnesses, injuries or age-related issues, having a nice steady, flat surface to step onto from a watercraft makes it much easier to continue enjoying water sports. 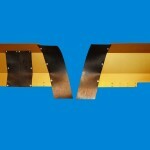 Ve-Ve Inc.’s dock leveling kits include the WD-75, Wd-76 and D-590 kits. The WD-75 Dock Leveling Kit is a comprehensive set of materials and equipment needed to adjust the level of your dock. This kit is mounted and left on one spot of dock. 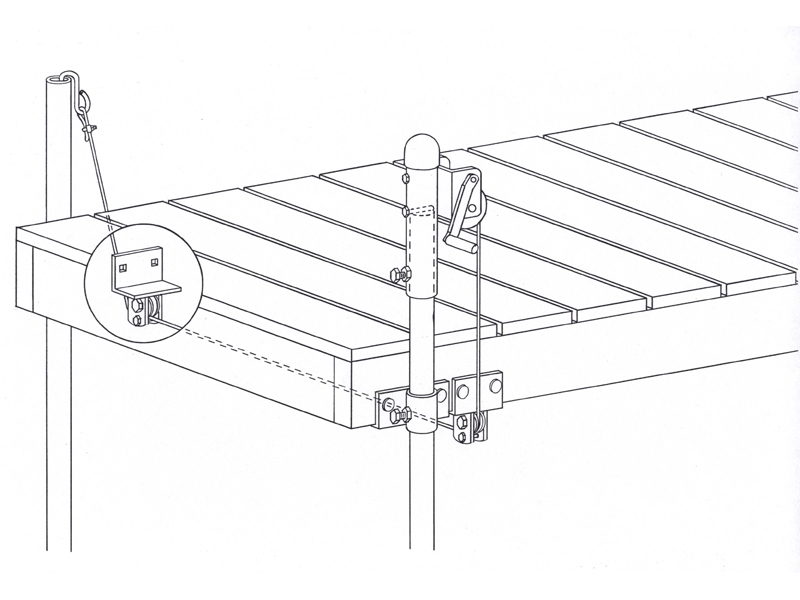 Each WD-75 kit includes a winch, winch mount, pulley assembly and 20 foot cable. 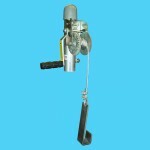 All of the parts are zinc plated for added longevity, durability and rust resistance. The WD-76 Dock Winch Leveling Kit is also a complete kit. This one has a 900 pound capacity winch. The WD-76 kit includes a winch, winch mount tube, 3/16 diameter by 8 foot long cable and dock section hook. 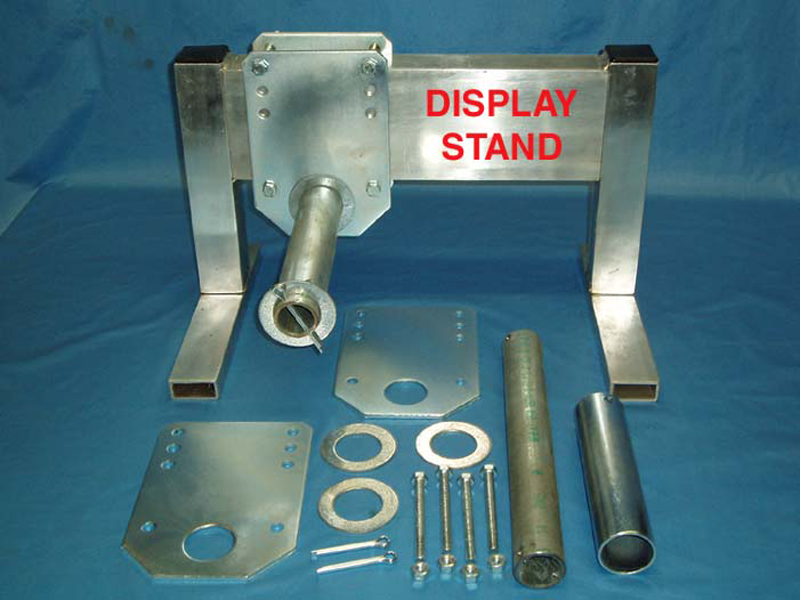 This kit is a movable/portable position kit. 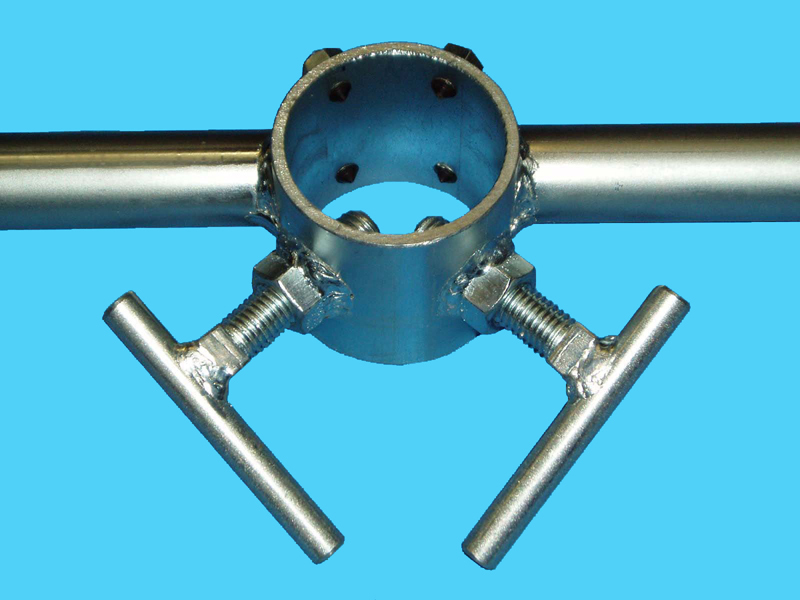 It works on existing 1-1/4” (1-5/8” outer diameter) or 1-1/2” (1-7/8” outer diameter) dock pipe. The WD-76 will work on 2” (2-3/8” outer diameter) pipe by mounting a piece of 1-1/2” pipe in the winch mount tube then sliding the other end into the 2” pipe. 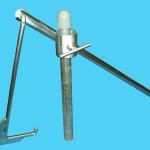 Lastly, you may need the D-590 Dock Leveler. It helps you adjust your dock to changing water levels. It’s made of heavy-duty steel and can withstand many years of use. The zinc plated finish withstands corrosion well in all types of environments. By using these products, you can keep your dock level in the water and make it easier to step into or out of your boat. Your family will also appreciate a nice, level dock to enjoy! Posted on August 4, 2015 by VeVe Inc. 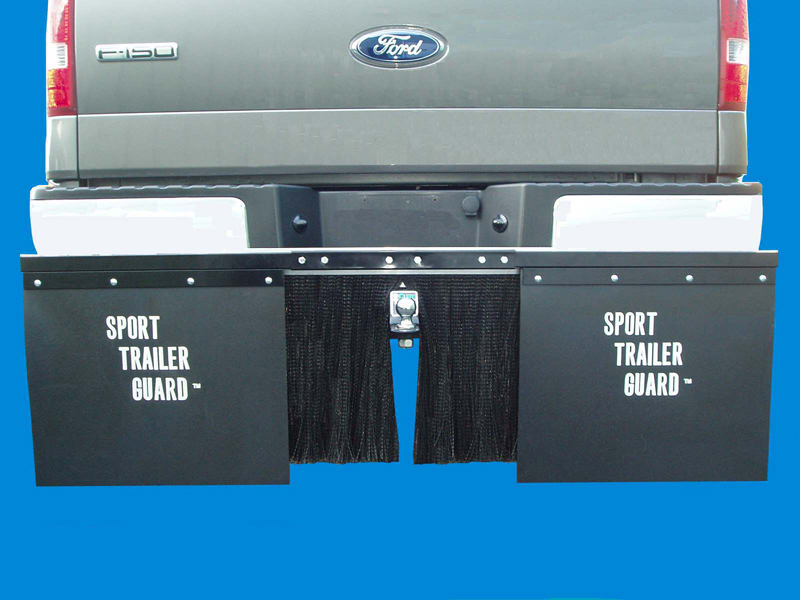 Sport trailer guards protect your trailer and boat from rocks and other debris kicked up by the tires as you drive. No matter where you trailer your boat or watercraft to a boat landing, the road leading there may strewn with rocks, shells or other debris. The Sport trailer guards mount to the ball hitch with an easy mount/dismount 2 bolt bracket. They help protect your big investment from the hazards of road debris. Ve-Ve Inc. Sport Trailer Guards are removable so you don’t have to keep them on during the week as you drive your car on typical streets and highways. Instead, use the simple screw-on bolt mounting bracket to attach them on your ball mount when you’re on vacation or turning into a weekend sailor. 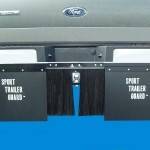 These sport trailer guards are made from heavy duty steel with a black powder-coat painted finish. Durable ¼” thick x 24” sq. 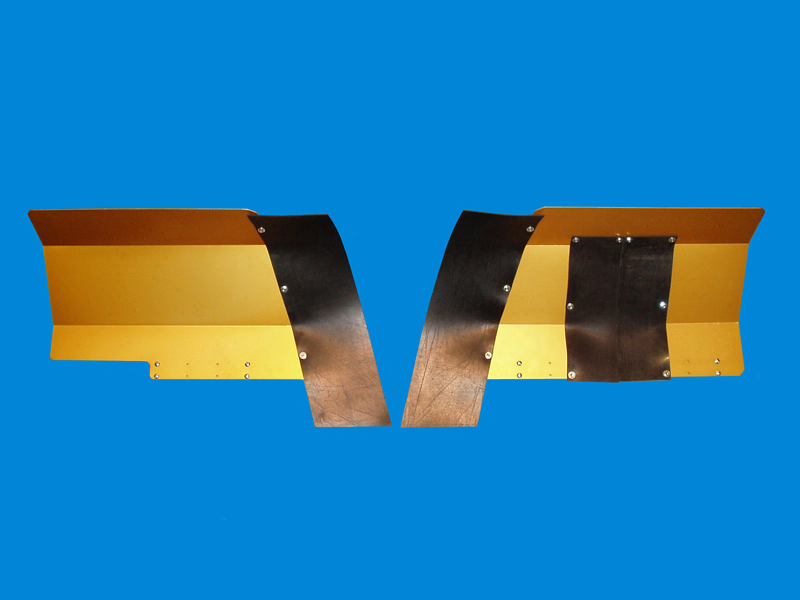 mud flaps attach to tubular steel arms that are adjustable to fit the width of your tow vehicle. 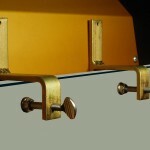 All mounting fasteners are included. Like most marine enthusiastic, you’ve probably invested in the best boat and trailer you can afford. You probably have a sturdy vehicle or camper to tow your boat or watercraft. 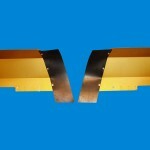 Keep your investment clean, safe and free from scratches and dents with these Ve-Ve Inc. 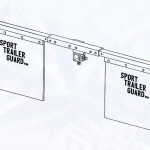 Sport Trailer Guards. Posted on July 30, 2015 by VeVe Inc.
Dock pipe sand augers help you secure your dock into the ground underneath the water. 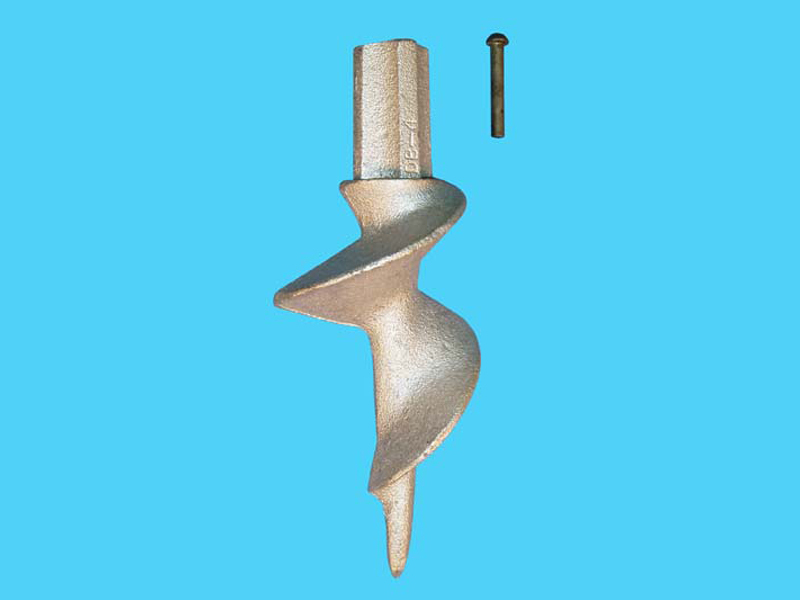 The D-504 heavy cast-iron sand auger drills neatly into the soil, with the curved flange cupping the soil and holding your dock steady and secure. Most of the augers you can find on the market today are made from flimsy aluminum, but these cast iron beauties are made to be like mini anchors for your dock. The D-504 cast iron sand auger fits 1-1/4” inside dimension dock pipe with a 1-5/8” outside dimension and mounts on the inside of the pipe. NOTE: Although there are pipe augers on the market that mount to the outside of the pipe and may be quicker to attach, we believe the extra time spent on mounting the inside mount style is time well spent. 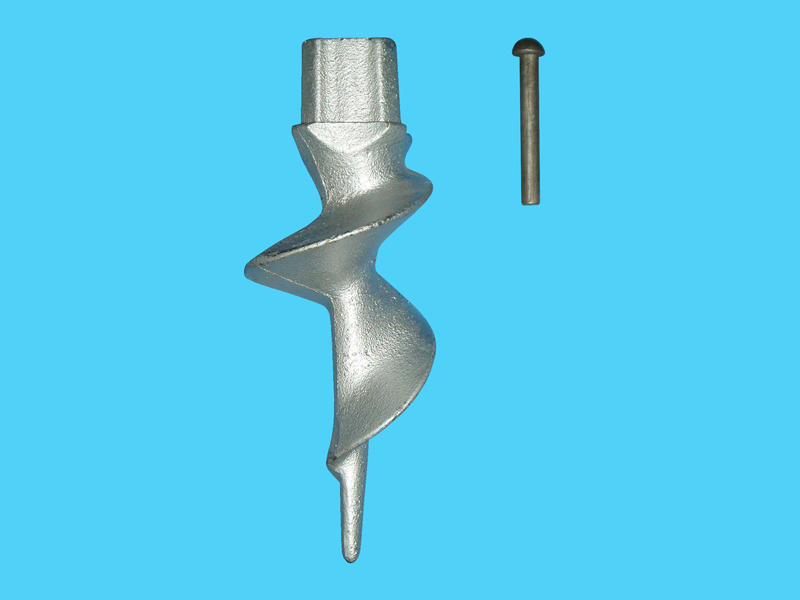 You won’t have to worry about pulling out your dock pipe and not having an auger attached to it, which is a big possibility with a loosened or thread stripped out bolt that the outside models have. 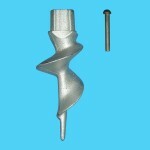 Two other sizes of our cast iron dock pipe sand augers are also available. The D-506 fits 2” inside dimension dock pipe (with a 2-3/8” outside dimension), and the D-507 fits 1-1/2” inside dimension dock pipe (with a 1-7/8” outside dimension). All are crafted of cast iron, made in the U.S.A., and built to last a long time. When it comes to your safety on the water, get the best quality materials for your dock hardware and accessories that you can find. Our dock pipe sand augers have stood the test of time and have secured many docks under all sorts of conditions nationwide. See for yourself why boating enthusiasts turn to Ve-Ve Inc. for the best marine and watercraft accessories available. Posted on July 28, 2015 by VeVe Inc.
Back trolling splash backs or splash guards prevent water from tumbling into the stern while Back Trolling. Our back trolling splash guards are available with many features to fit different watercraft. All splash back are made in the U.S.A. and feature Ve-Ve Inc.’s attention to detail and outstanding craftsmanship. 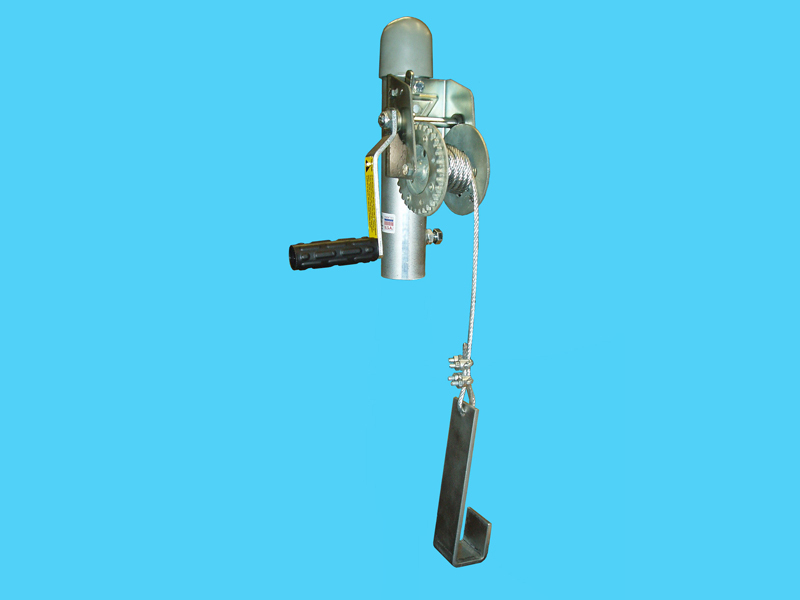 Ve-Ve Inc. offers both permanent and detachable models, along with optional starboard or port side cut-out models for small trolling motors. The SB-20 series of back trolling splash backs are permanently mounted splash guards. They’re made from aluminum, with an anodized gold finish. The rubber flap edge is contoured so that the flap doesn’t hinder the motor’s movement during back trolling. The rubber flap mounted on the splash backs is gas and oil resistant, making them perfect to use near your watercraft’s motor. Our splash guards are a one size fits MOST product, with port or starboard cut-out models available for trolling motors. Splash guards fit nearly any watercraft. Click on links to view complete size and configurations of each splash back. The SB-24 splash back series offers removable splash guards with mounting clamps that fit transoms up to 2-1/4 inch wide. The 14-degree angle cut on the on the motor side of both the starboard & port side piece is where the rubber flap mounts & contours to the motor to avoid hindering its motion. Like our SB-20 series, these splash backs are made from aluminum with an anodized gold finish. They are sturdy and made to last. Back trolling is an art, but once you learn it, you can change speed and slow down with greater finesse. Keep your passengers and the interior of your watercraft dry with these back trolling splash guards. They’ll make your time on the water more enjoyable! 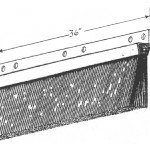 Posted on July 24, 2015 by VeVe Inc.
Dock leveling kits are a useful addition to any boat dock. Changing water levels can make your dock too high or too low for your watercraft. 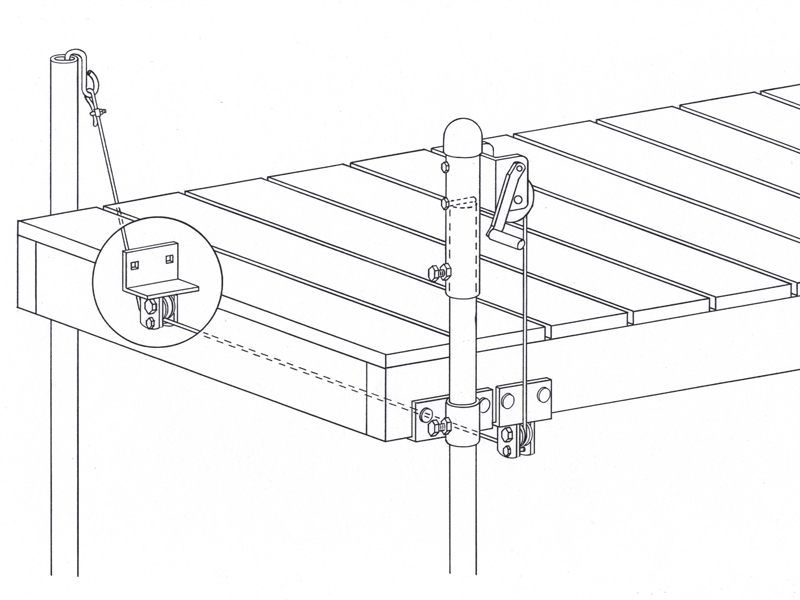 With dock leveling kits, you can easily adjust the dock level with the turn of a winch. WD-75: The WD-75 Dock Leveling Kit is a comprehensive set of materials and equipment needed to adjust the level of your dock. This kit is mounted & left on one spot of dock. 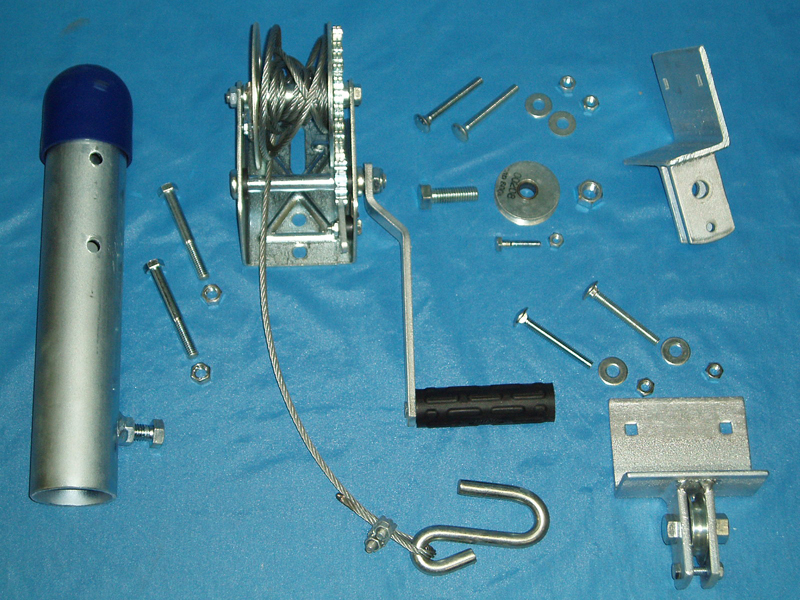 Each WD-75 kit includes a winch, winch mount, pulley assembly and 20 foot cable. 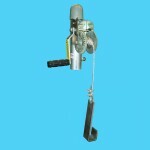 All of the parts are zinc plated for added longevity, durability and rust resistance. 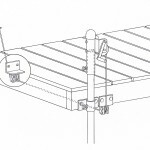 You can use the WD-75 kit alone or with item WD-55, the dock wheel mounting kit, used to convert dock to a Roll-In dock. 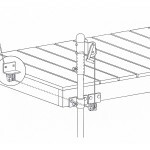 WD-76: The WD-76 Dock Winch Leveling Kit is also a complete kit with a 900 pound capacity. 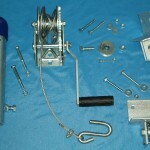 The WD-76 kit includes a winch, winch mount tube, 3/16 diameter by 8 foot long cable and dock section hook. 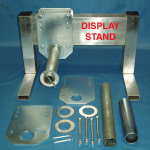 This kit is a movable/portable position kit. This kit works on existing 1-1/4” (1-5/8” outer diameter) & 1-1/2” (1-7/8” outer diameter dock pipe. 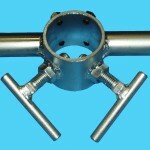 There’s an optional pipe mount piece to adapt it for 2” (2-3/8” outer diameter) pipe. D-590: The D-590 dock leveler helps you adjust your dock to changing water levels. It’s made of heavy-duty steel and can withstand many years of use. This is a portable position kit product. 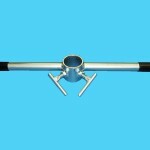 It fits over all 3 pipe sizes, 1-1/4”, 1-1/2” & 2” dock pipe. The zinc plated finish withstands corrosion well in all types of environments. Whether you’re shopping for a new dock, changing from a stationery dock to a floating dock, or adding dock accessories, Ve-Ve Inc. offers the finest quality American-made marine parts and accessories.